A lot must have been said or written about the American pop singer and fashion designer Jeffree Star but not all is known about his love life, particularly with his social media sweetheart Nathan Schwandt. The donning hot-pink haired singer with a heavily-done eye makeup is one of the many artists who has achieved great success with his singing talent as well as his makeup tutorials. Star is best known for many things most of which revolves around his pop music and gender-stereotypes. His rise to fame is not without his self-titled YouTube channel which has over 3.7 million subscribers and his numerous albums which keeps making the hit in the music world. However, one major information about the transgender American singer that is currently going viral is his love story with the now popular social media personality, Nathan Schwandt. Here are all the facts you need to know about Jeffree and his social media sweetheart, Nathan Schwandt. Nathan Schwandt is a Michigan-born Instagram star best known as the boyfriend of a renowned pop singer Jeffree Star. Schwandt was born on August 18, 1993 with an American nationality. Information about his parents and family is not yet disclosed but we know of his younger brother Zach who is also a social media personality. Nathan Schwandt has also not disclosed information about his educational background including his high school, college and University. All we know is that he is quite educated in some sort. Prior to his fame on the social media, Nathan worked as an employee for a Michigan based pet-shop. He then opened an account on Instagram which now became the root of his fame. Nathan now has over 1.5 million Followers on his Instagram account. It was also on this account that he met the transgender American pop singer and makeup/fashion enthusiast, Jeffree Star. Schwandt does not have an account on Facebook and Twitter. While dating the pop singer, Schwandt introduced him to online business especially the one that involves earning money as a Vlogger. He moved to Califonia to be with his partner and there he became a staff of his cosmetics company. Schwandt then encouraged Star to create his own YouTube channel and begin to make and post his makeup videos and his music albums. Shortly after, Jefferee became a successful vlogger. He even launched his own cosmetics line which is also doing quite well. Nathan then became responsible for Star’s warehouse logistics. After working in the logistics department for some time, he left to take care of the family, including their five Pomeranian dogs. Currently, the Michigan native owns Marijuana business together with his partner. He also appears regularly on Jeffree’s videos while engaging his fans and followers on his Instagram page. Nathan Schwandt is believed to have a growing net worth of about $500,000 but his salary is not yet disclosed. See Also: Who are Kate Luyben and Her Boyfriend – Jim Jefferies, Are They Still Dating? 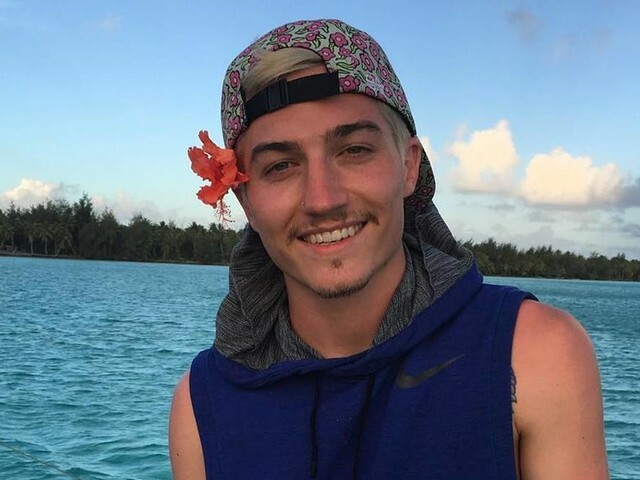 Nathan Schwandt has openly identified himself as gay and he is in a relationship with the American pop singer and fashion designer Jeffree Stars. Nathan apparently met with his sweetheart after sending him a direct message (DM). They officially started dating in March 2015 after Schwandt flew down to California to meet Star for the first time. A brief detail about Jeffree Star states that he was born in California, USA, on November 15, 1985. He was raised by his mother who was a model and as a child, he had developed an immense love for makeups. Growing up, Jeffree worked at a makeup counter while getting himself equipped with the basic tips of fashion and music videos. He rose to fame after gaining about a decade-long experience as a makeup artist. Today, he is not only known all over the world as one of the top makeup gurus, but he is also famous through his clothing line. Alongside other social media platforms, Jeffree also gained his fame from massive fan followership on ‘MySpace’. On his self-titled YouTube channel, he has over 3.7 million subscribers who are faithfully following his makeup-savvy tutorials. His makeup business alongside his collaboration with other renowned makeup artists and other businesses has fetched him a net worth of about $50 million. Nathan and Stars had their first date at Santa Monica Pier. Their relationship has in the past years generated some form of gossips with many referring to Nathan as a gold digger. There were also rumours that Nathan has identified as being of straight sexuality but the Instagram star clarified this by saying he was in a relationship with only women in the past before discovering that he was gay. The couple currently resides in Grand Rapids, Michigan, Nathan Schwandt’s hometown.